Automatic approval: If you don’t want to approve after each partner registered, TURN ON this option. Theme will automatic approve the partner request. 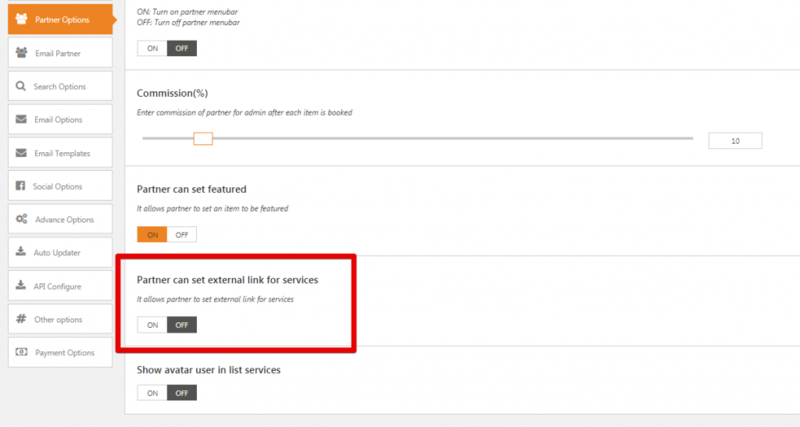 Allow custom sort link for the partner: This option make the link URL on Partner is nicer. Show email contact info: TURN ON this option if you want to show the Partner email information. Content need approved by administrator: Partner’s Post must be approved by admin. If you want to limit permission of partners to post, TURN ON this option. All of the partner’s posts will be approved by admin. Show avatar user in list services: TURN ON this option if you want to show Avatar for Partner on list service. Partner menubar: currently when Partner login admin bar is hidden, if you want to show it, you can TURN ON this option. Site owner commission(%): This is option allow admin can request the commission on each bill, enter number commission you want. Percent: enter number percent that administrator can be received if the client cancels a bill. 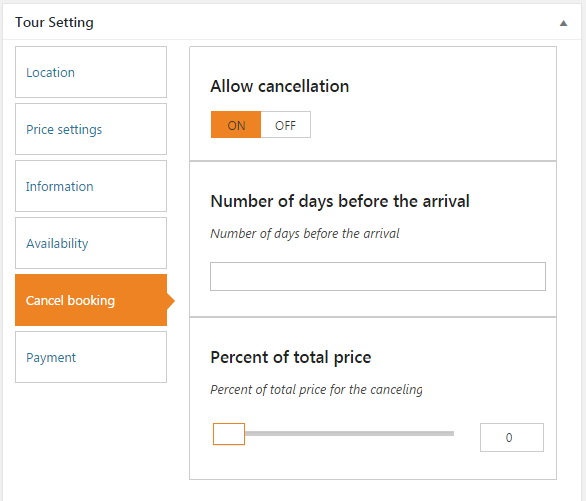 If you enter 30%, Admin will receive 30% cancellation fee. Partner can enable external booking for service they want. Member Checkout Success Page: Select a checkout success page for member packages. Go to Traveler Setting > Partner Options > Layout Dashboard. Config partner profile info: TURN ON this options if you allow your Partner configure own profile. Allow request withdrawal: TURN OFF this option if you don’t allow Partner send request withdrawal. Minimum value requests when withdrawal: enter an amount of withdrawal value. Choose the date system to make transaction in month: enter the Day of the month you can send the money to Partner.